1. Apparently in Wisconsin it’s actually illegal for a car dealership to sell cars on Sunday. While almost every other industry in the state is completely free to be open anytime they want, car dealerships are one of the only industries still tied to the decades-old “blue laws,” based on the religious protection of the Sabbath. Such laws remaining across the country are few, and most of them tend to focus on prohibiting the sale of alcohol on Sunday. But not in Wisconsin. Cars. 2. 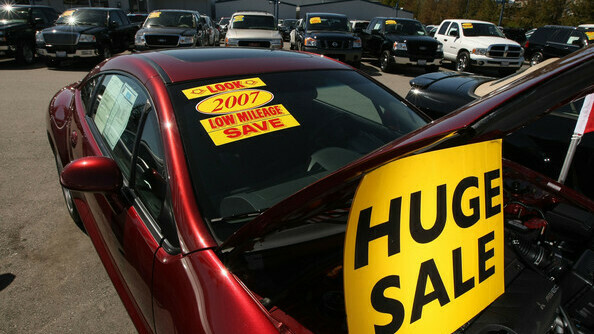 A lot of late model used cars sold in our area are brought in from other areas of the country, like the East Coast. That’s because people around here, and presumably the Midwest in general, tend to buy and keep their cars for a long time – even until its on its last legs – while people on the coasts tend far more often to lease and then change vehicles more frequently. What this says about the Midwestern mentality – positive or negative – could likely be debated. But one thing is clear, not only do we have to take hand-me-down fashions and trends and entertainment from those obnoxious coasts – we’ve got to take their cars too.